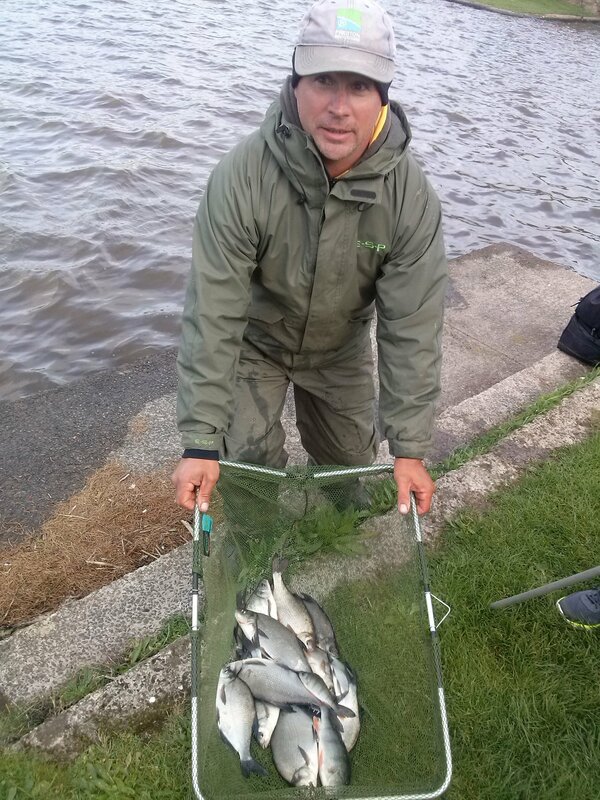 Bideford 48lb 12oz Plymouth 32lb 15oz Bideford win over 2 legs 152lb 11oz to 101lb 9oz. 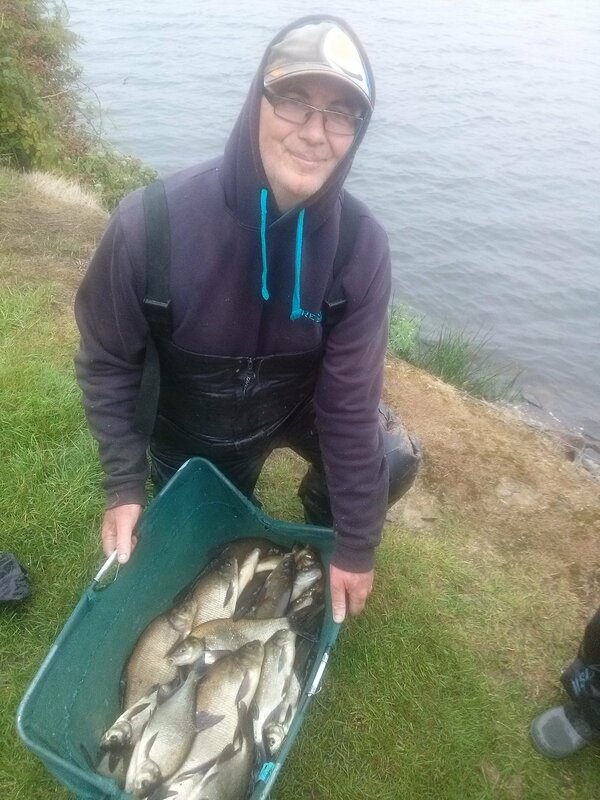 Tarka fished very hard and the 18 competitors struggled for bites, Martin Turner only caught a few roach on the pole but managed to find 3 carp on the banded pellet on a straight lead on peg I for 1st place .A single late carp and a bream on the pole on peg M was enough for 2nd spot for Ian, 3rd and 4th places were also single carp on the pole for Plymouth members John and Dell. 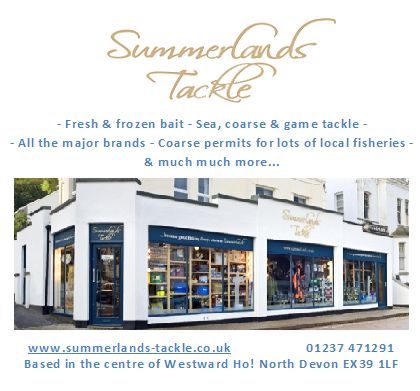 We hope to make this an annual fixture. 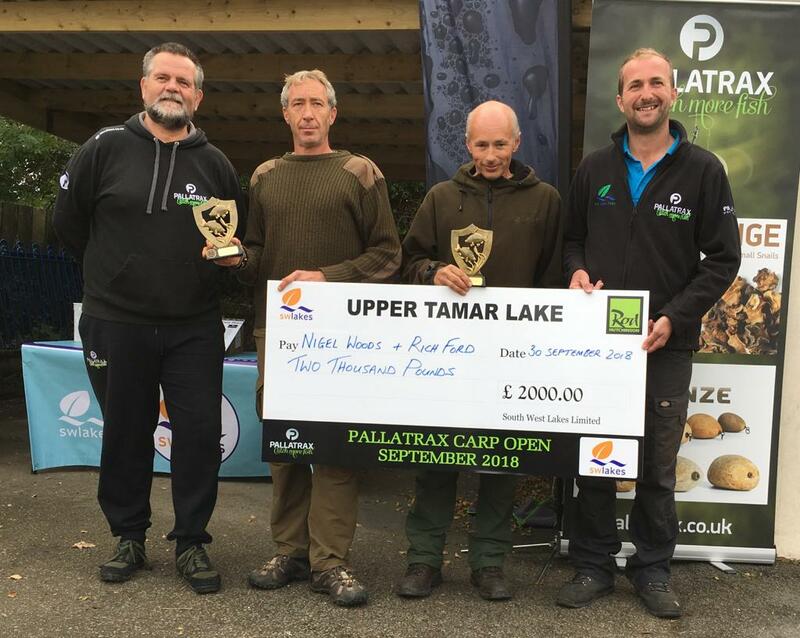 Nigel Woods and Richard Ford from Launceston, Cornwall, won the Pallatrax carp pairs competition at Upper Tamar Lake on the 28-30 September. 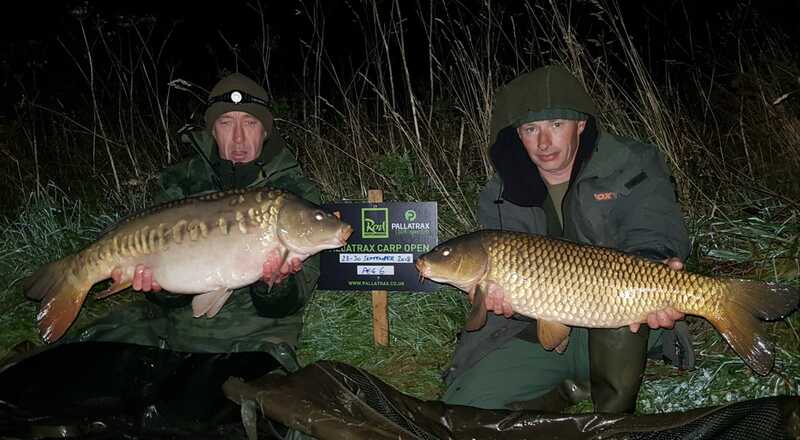 They chose peg 6 which was a shallow peg and fished really well over the weekend to land 5 carp for 72lbs 10oz to scoop the £2000 top prize. 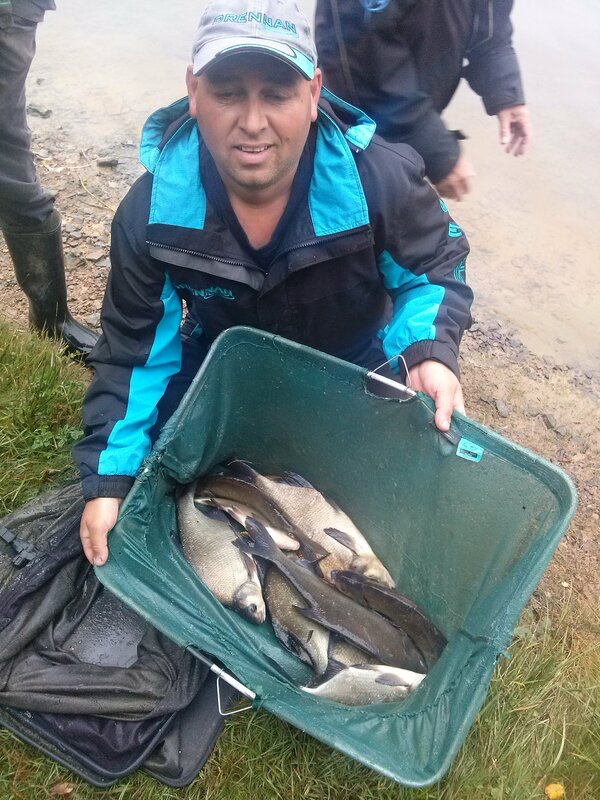 Karl and Alfie Yates (Bude) were second winning £1000 with 4 fish for 52lb 9oz and Allan Jones and Matthew Pepperell (Bude) were third winning £500 with 4 fish for 46lb 8oz. 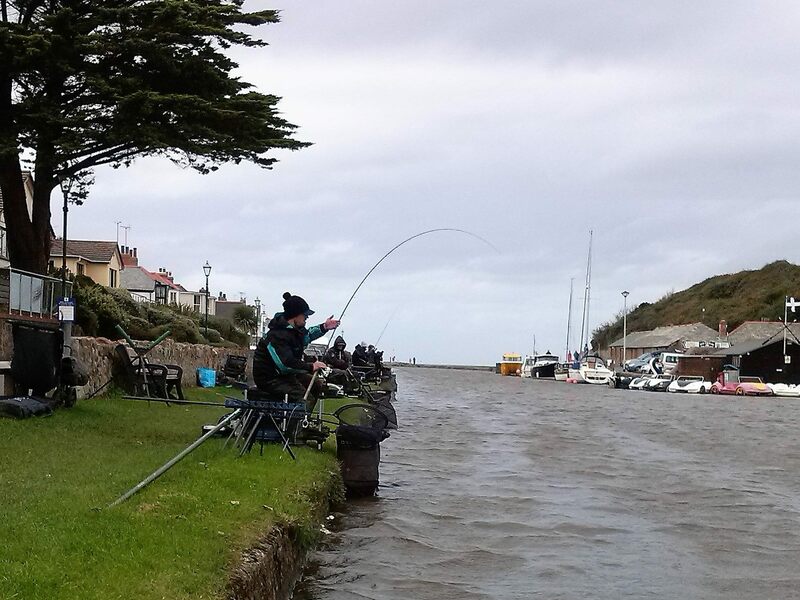 Inter-club match Bude Canal Angling Association versus North Devon Match Group Results BCAA 140-5 points NDMG 112-5 pts After 2 legs the teams tied on points 276-5, As holders NDMG retain the cup. 4th Matthew Sampson 9lb 6oz . 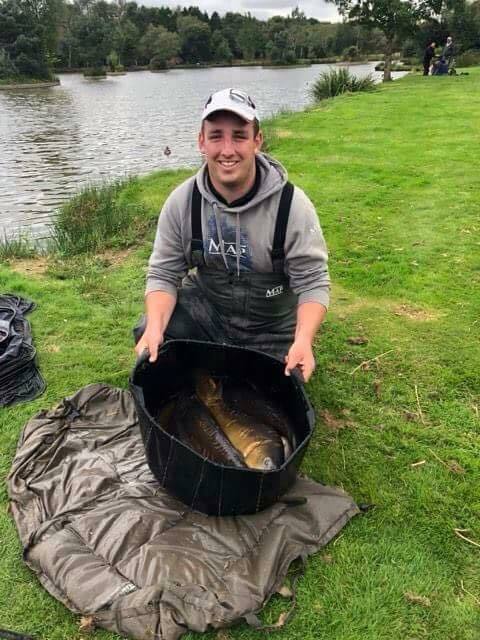 Stiff, cold westerly sea breeze made for some tricky fishing conditions, Christopher Morris NDMG fished the tip and waggler on the top basin for a terrific winning weight. 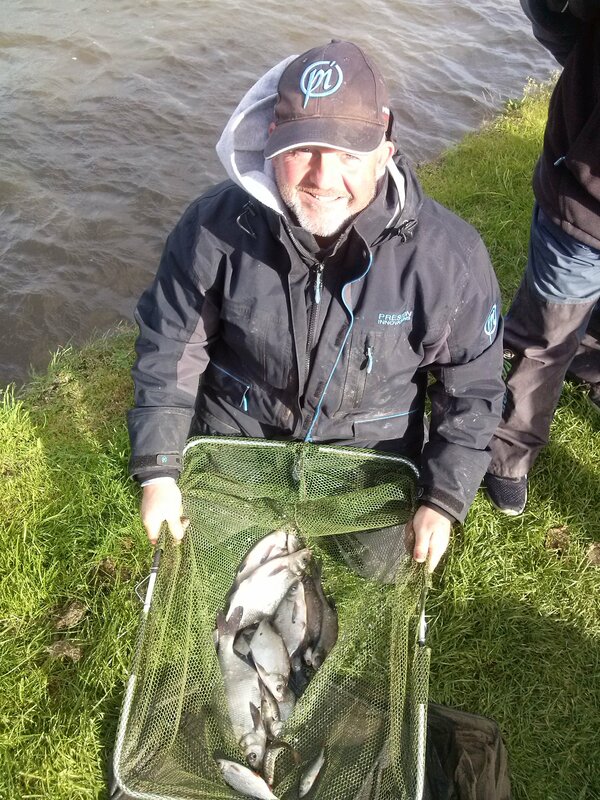 2nd and 3rd places were decided on the bottom basin,where both team captains Simon John Allen and Martin Turner battled it out on adjoining pegs. 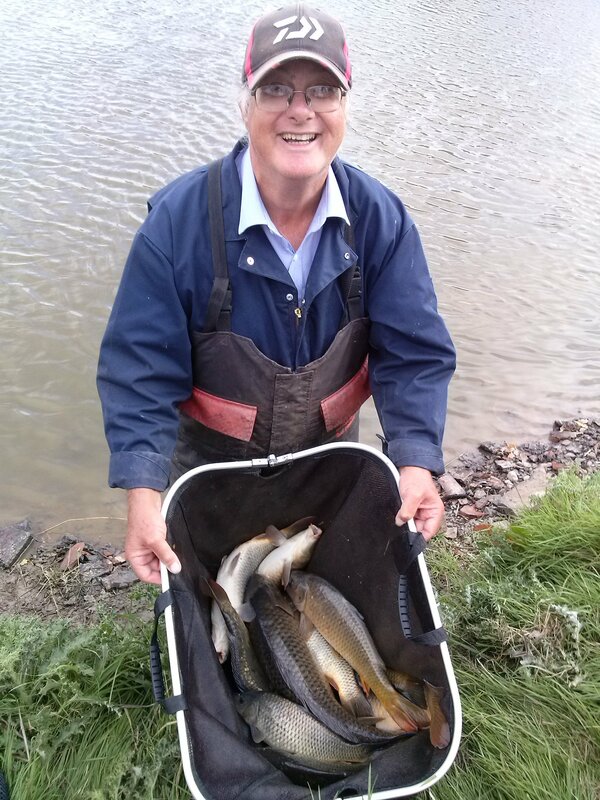 Bude’s captain came out on top and helped his team secure a clear victory on the day. 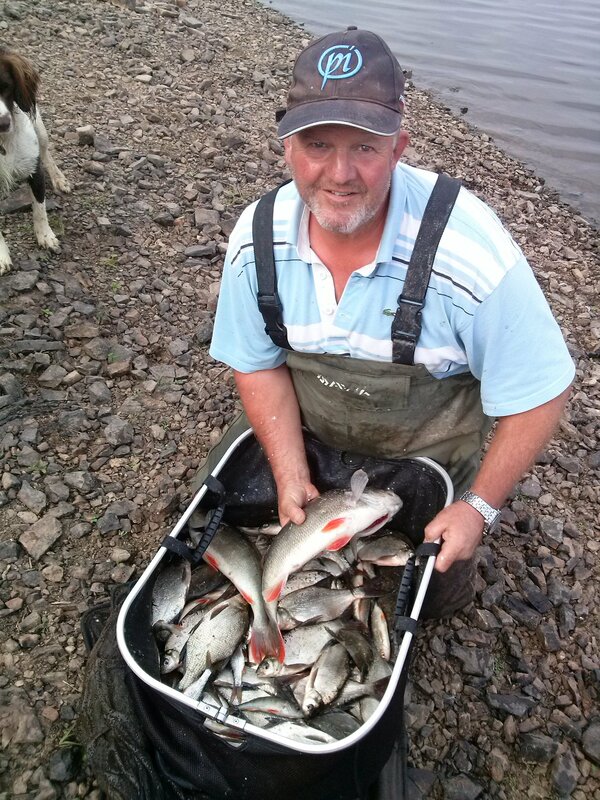 North Devon Match Group Championship No 9 @ Lakeview Morchard Rd. 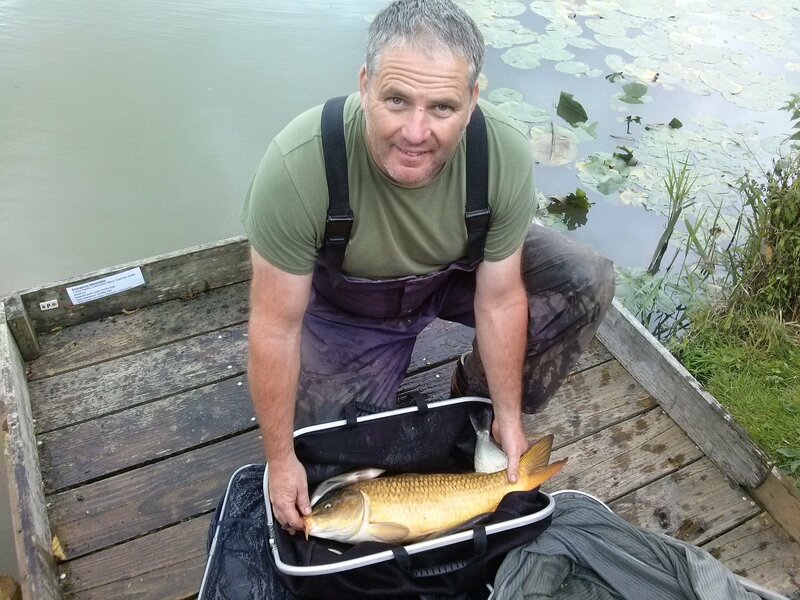 5th Martin Turner 27lb 9oz. 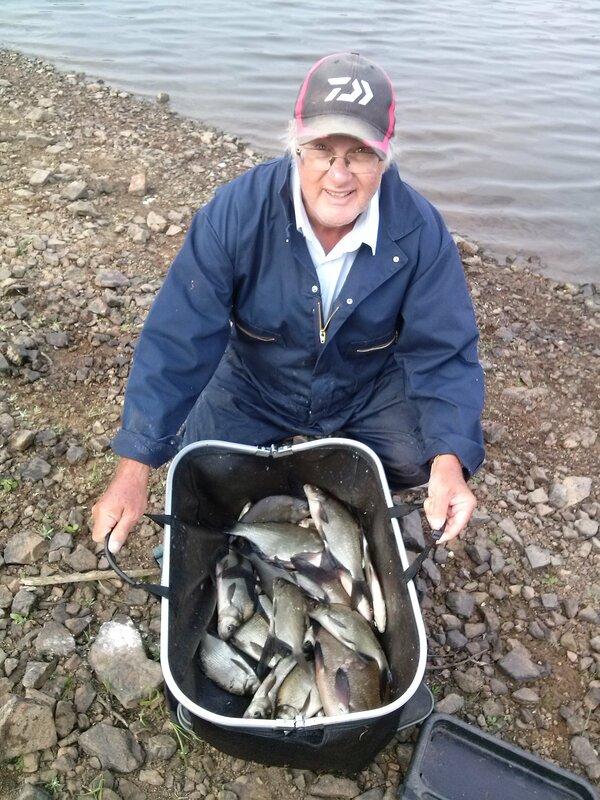 16 anglers fished. 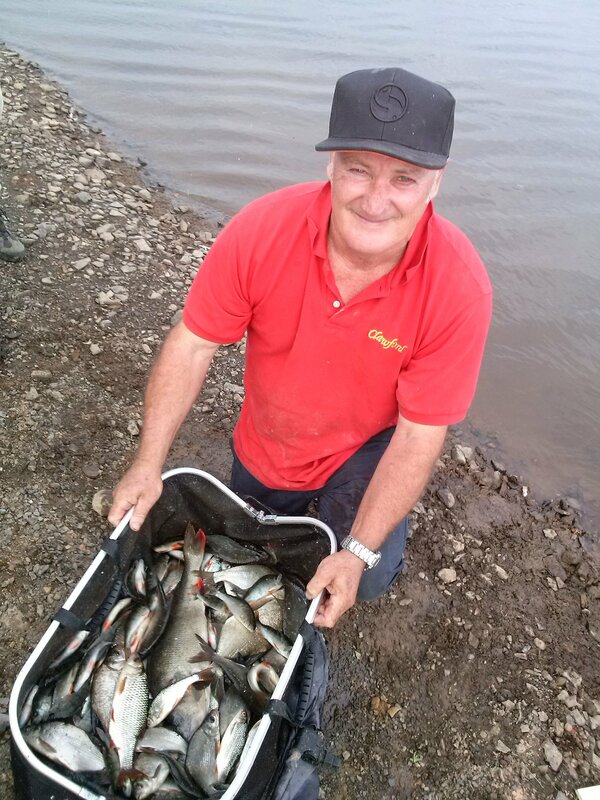 Duncan Edwards drew on the unfancied road side bank and had a good start on the pole with paste then switched to a feeder casting between the 2 islands, his winning weight was well clear of 2nd place Kevin Shears who drew on the same bank and fished the pole as did third placed Neilsen Jeffery. Conditions were fairly bright and breezy with a distinct autumnal feel. 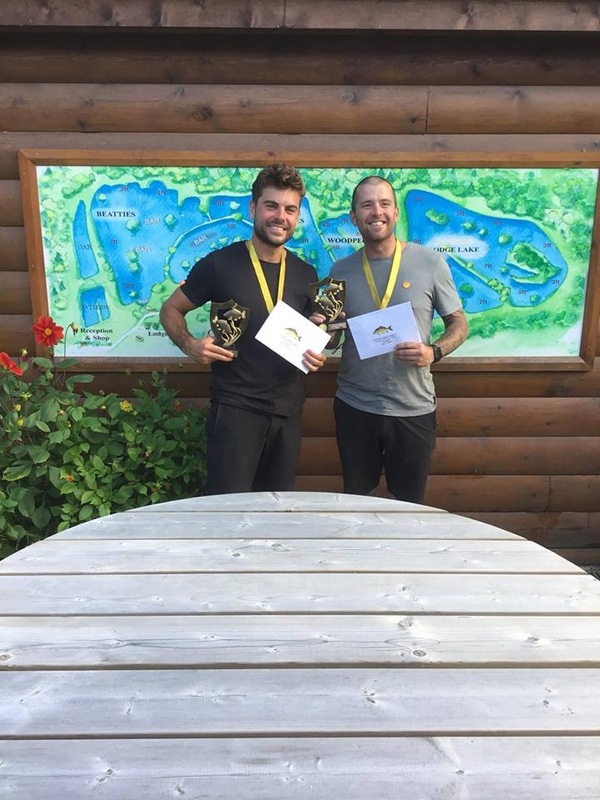 The worthy winners of Stafford Moors September Pairs Festival 2018 with a fab combined weight of 620lb 10oz and 5 points is Pete Upperton and Robbie Taylor (GURU) well done guys ! In second place with 5 points and a total combined weight of 408lb 12oz was Adam Lee and Mark Goddard, in third place with 5 points and a combined weight of 382lb7oz was Lee Werrett and Andy Neil, in fourth place with 6 points and a combined total weight of 347lb 12 oz was Steve Ford and Craig Edmunds aka ‘trigger’ MOSELLA UK. Thank you to everyone who took part was a fab turn out of 80 entrants (a full house). 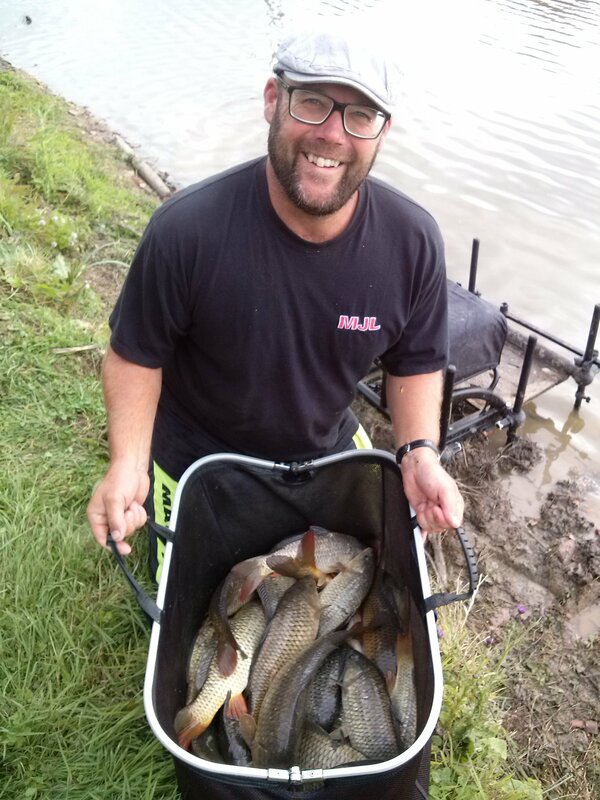 Open match today on Tanners & Woodpecker lakes. 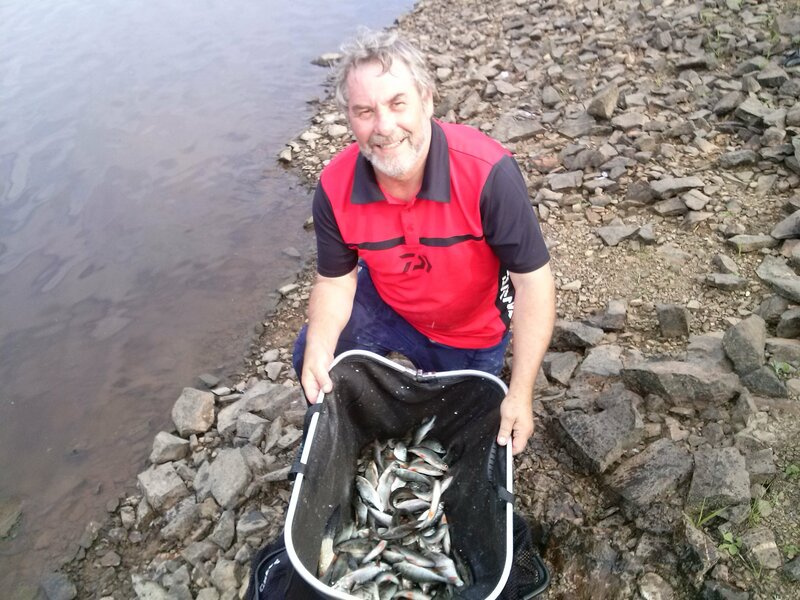 32 anglers fished today our winner was Darren Painter with a great weight of 176lb 09oz off peg 11 on Woodys well done Darren! 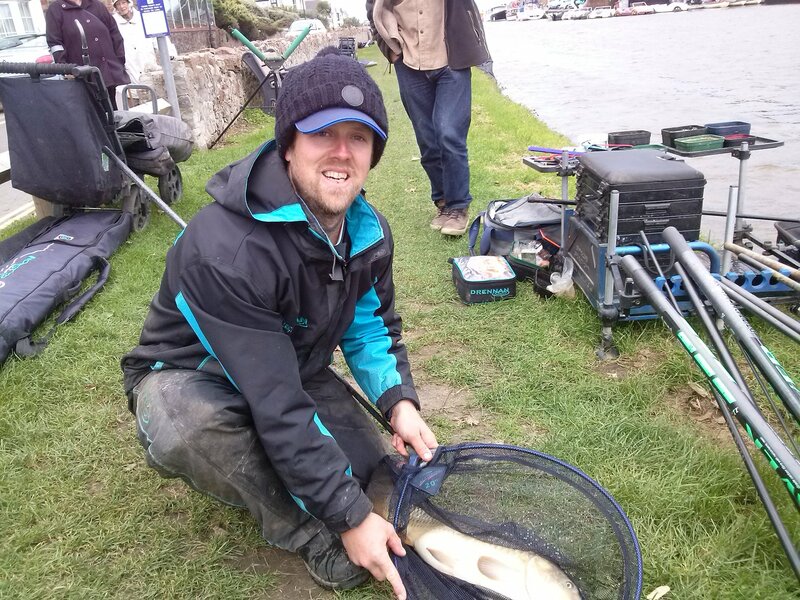 In second place was Ben Evenden with a weight of 174lb 8oz from peg 2 on Tanners well done Ben! 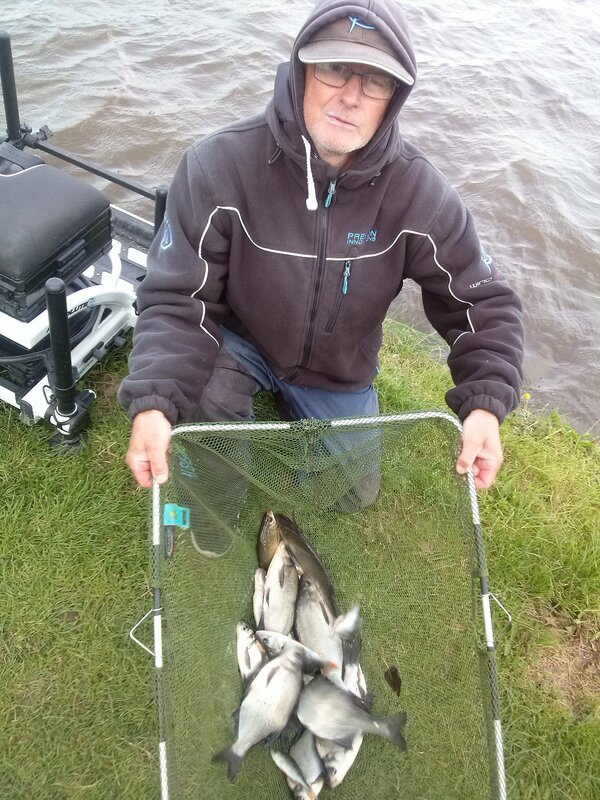 In third place was Martin Heard with a weight of 152lb 14oz fishing peg 4 on Tanners well done Martin! 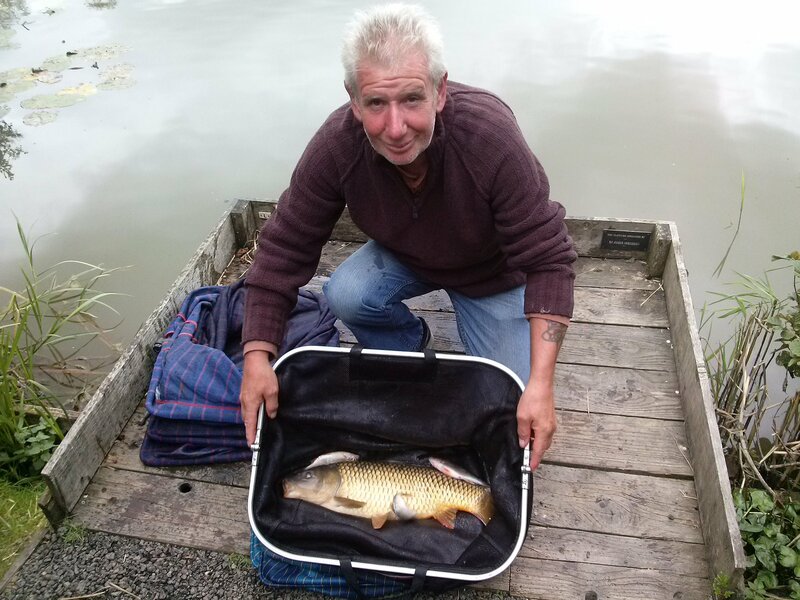 In fourth place was Dodgy with a weight of 133lb 13oz fishing peg 5 on Woodys well done Dodgy! 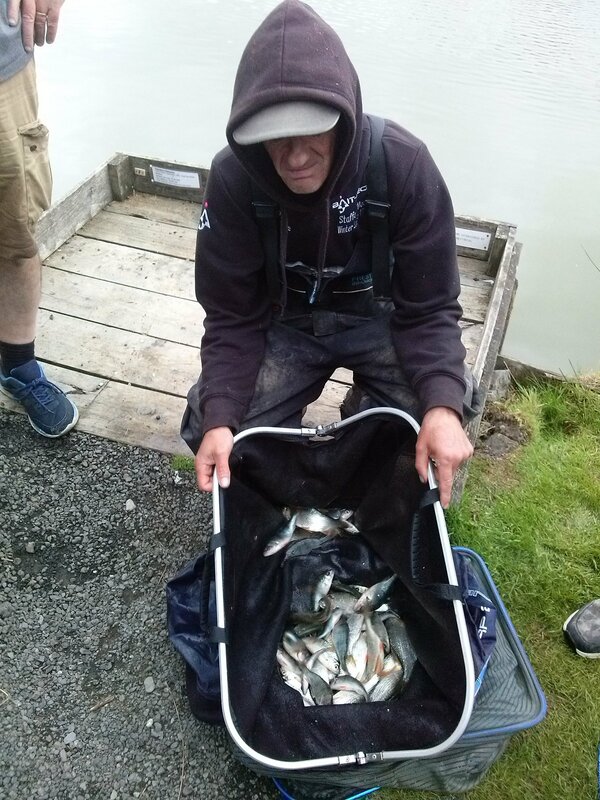 Top silver weight of the day was Phill Hardwick with a total weight of 32lb 13oz. 6th Colin Gorman 4lb 3oz . 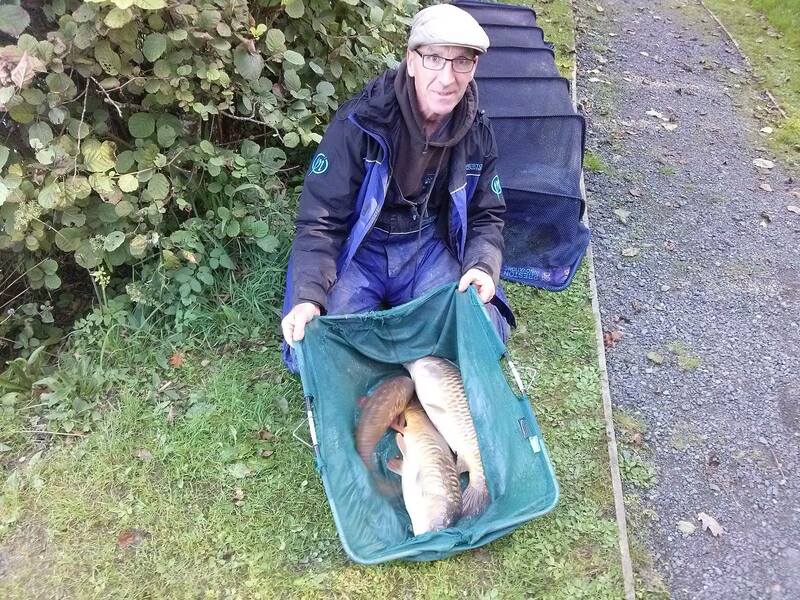 16 members took part in the match on George’s Lake at Tarka Swims, although we all enjoyed a pleasant autumnal day the fish proved hard to catch and Steve Bailey, who once again drew the golden peg, made no mistakes in winning for the second month in a row with a catch of small bream and a single carp. 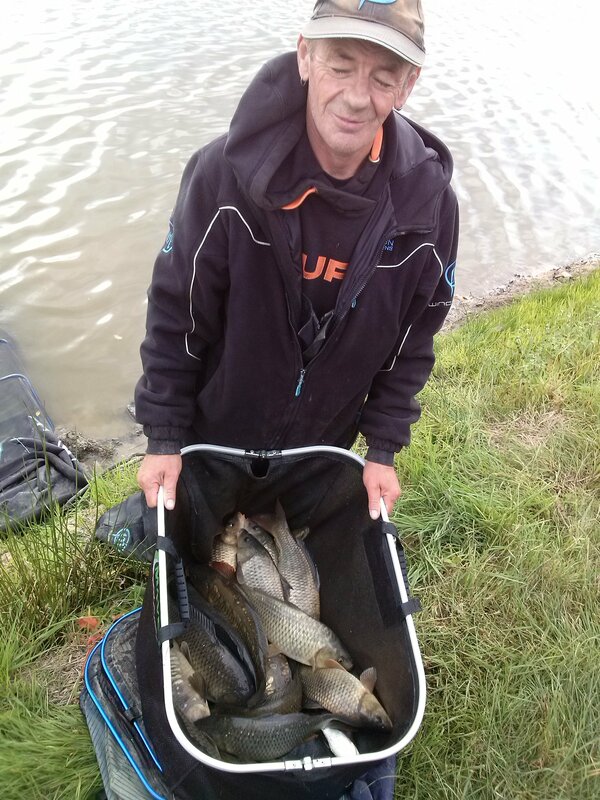 Antony Bentley drew on peg L and landed a single carp for 2nd place . 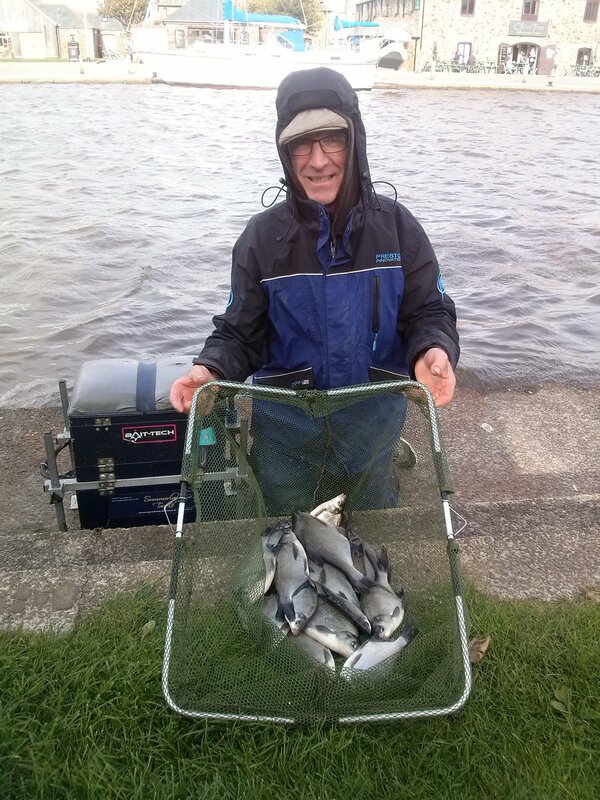 3rd was Martin Turner who landed a bag of small skimmer bream in the deeper peg J on the pole with caster. 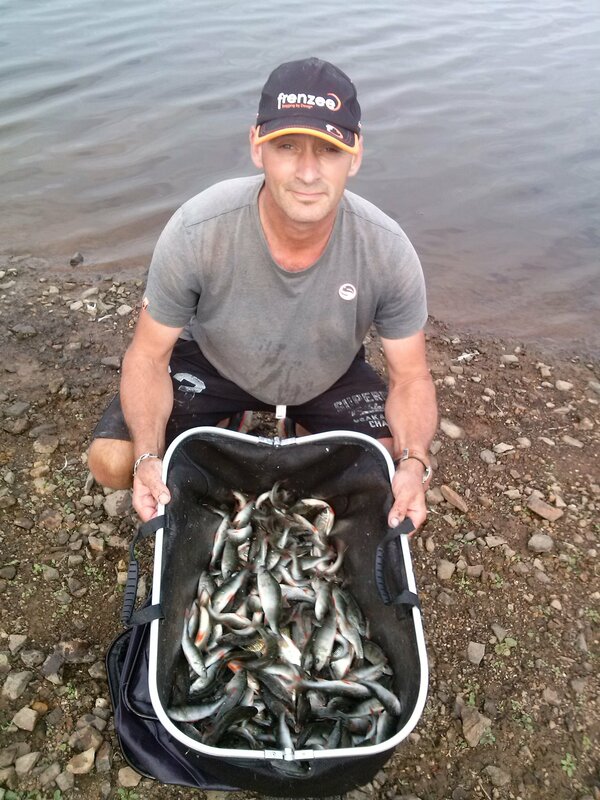 Kevin had an all roach catch on peg F for 4th spot. 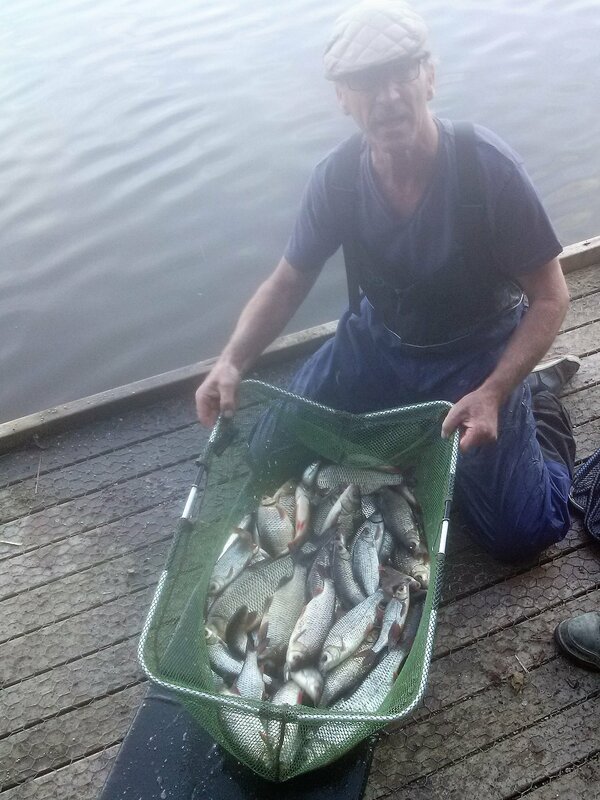 Some super nets of small silver fish from Upper Tamar Lake a fine match and specimen fish venue. 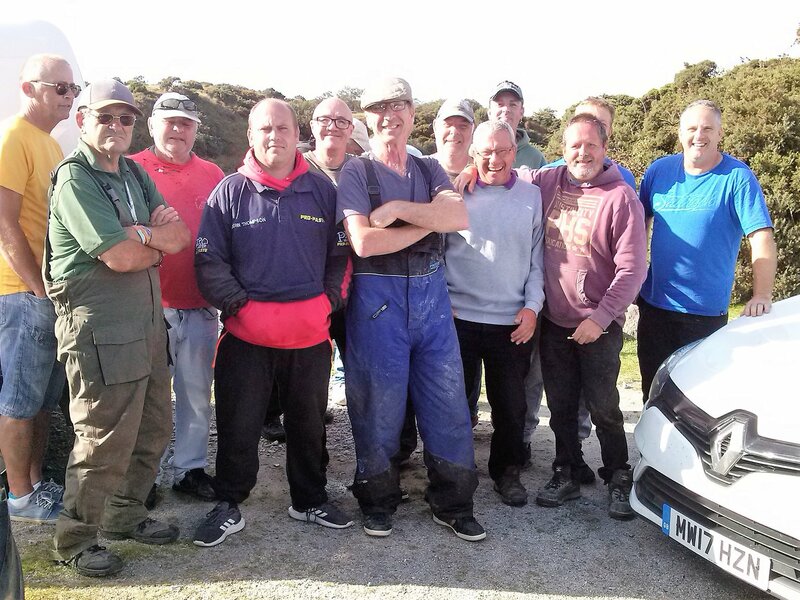 The final Summer League on Upper Tamar Cornish Bank. 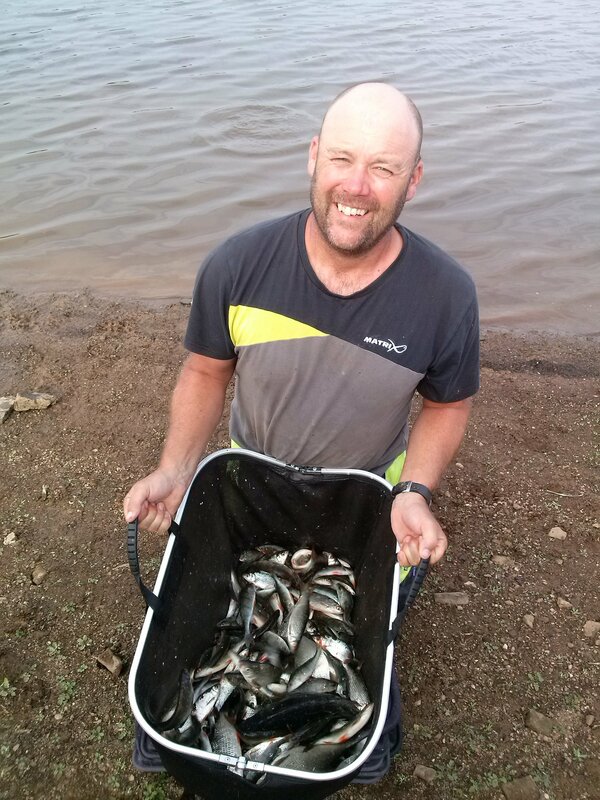 The top 3 final summer league positions are Neilsen Jeffery 160pts Martin Turner 115pts Chris Morris 90pts. 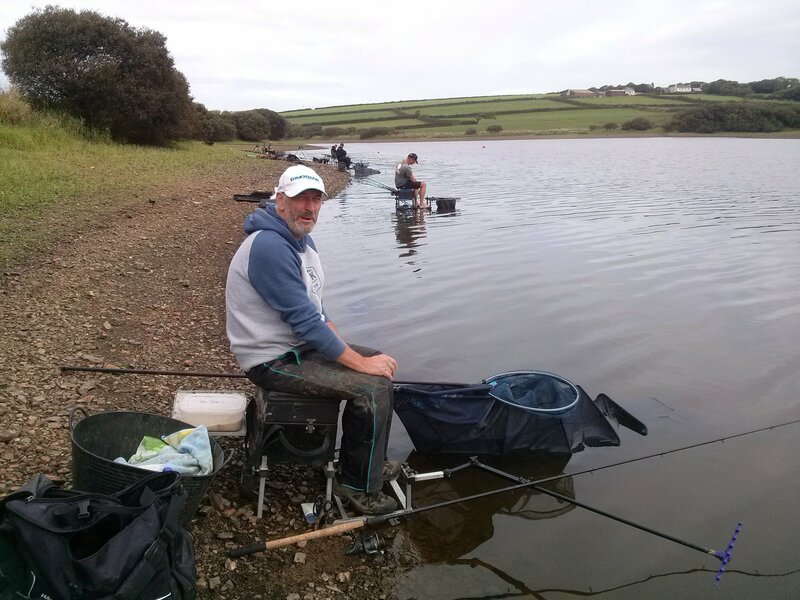 Bideford’s Coarse Section travelled to Plymouth Coarse Angling Club’s lakes at Cadover on Bodmin , for the first leg of the inter club event. 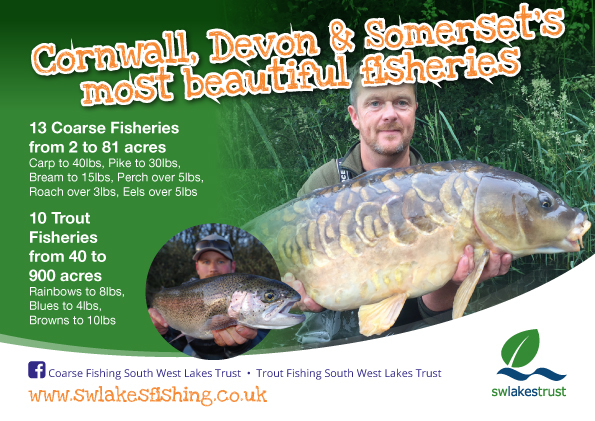 Bideford came out on top with a total weight of 103lb 15oz to PDCAC 76lb 10oz . 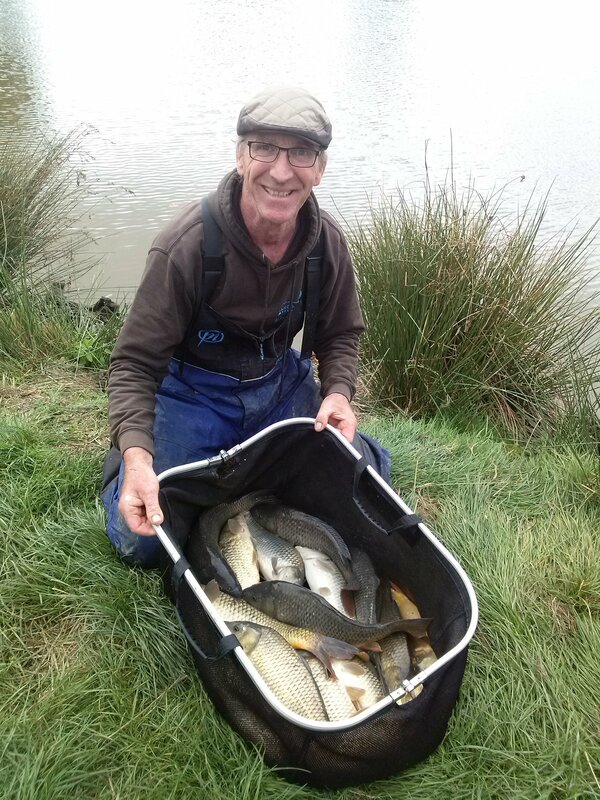 The comp was fished in great spirits and super autumn weather, several large carp were landed and a few more lost, although top individual was an all roach net of 33lb 2oz for Martin Turner 2nd was Ronnie Moore with a 2 carp net plus silvers for 25lb 15oz , Rober Rand landed an 18lb carp plus some silvers for 24lb 14oz and 3rd , 4th place with 3 skimmer bream and 2 carp was Colin Gorman with 24lb 4oz. 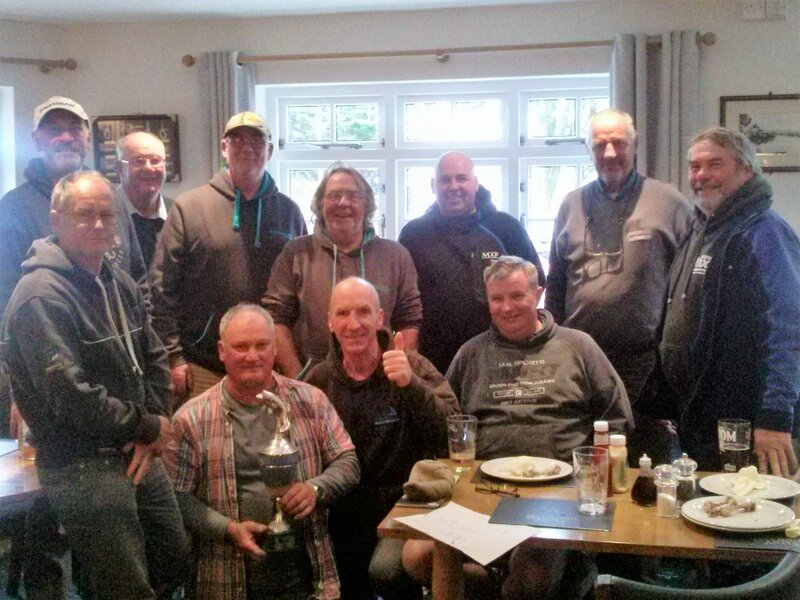 We look forward to hosting PDCAC in the return leg on September 29th at Tarka Swims. 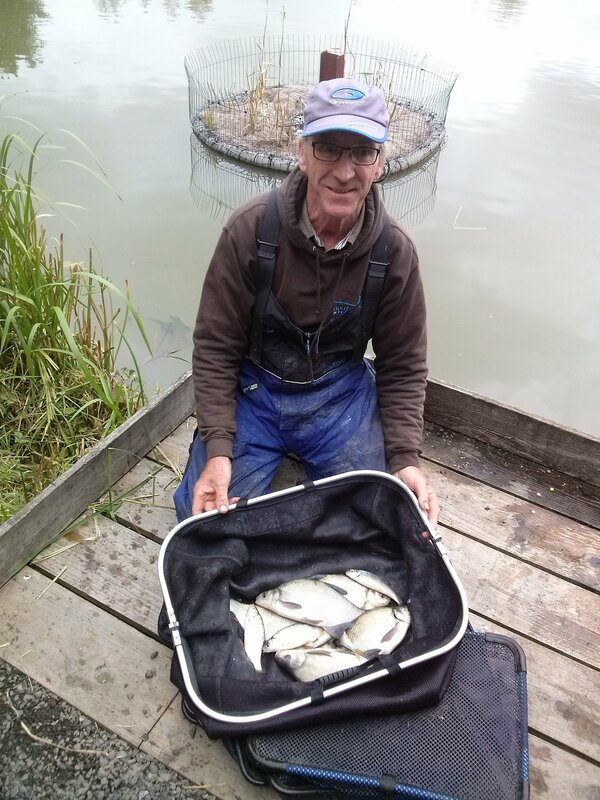 Many thanks once again to Martin Turner for his latest report from the North Devon match Group. 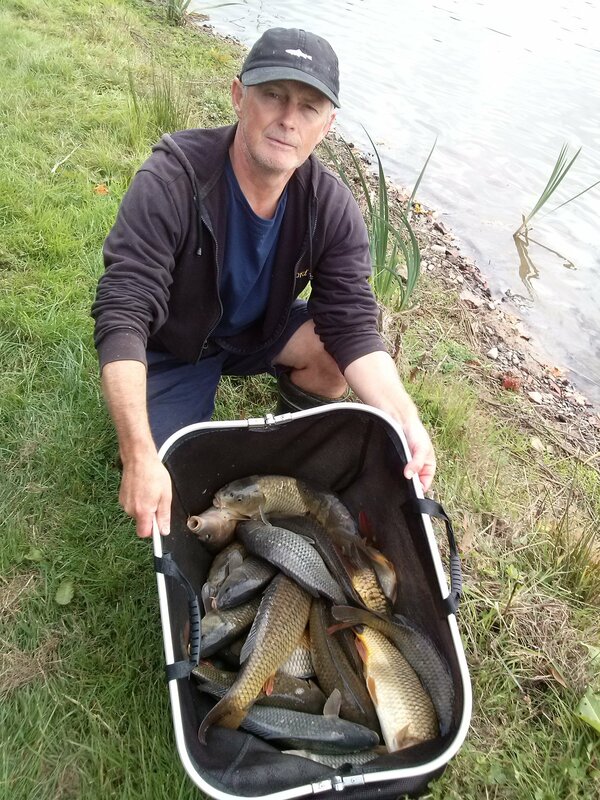 5th Stuartshelly Burridge 13lb 11oz . 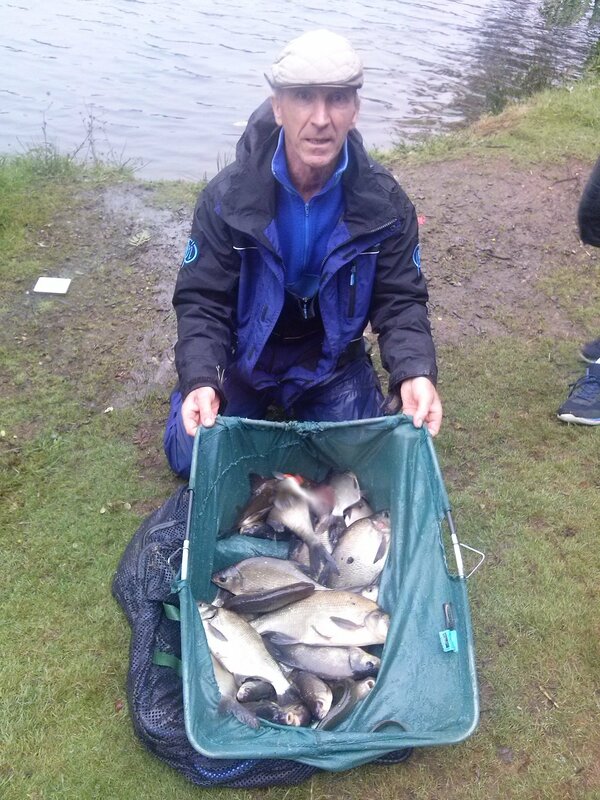 Conditions proved to be challenging for the 12 competitors, driving rain made fishing uncomfortable, despite this some good nets were taken. 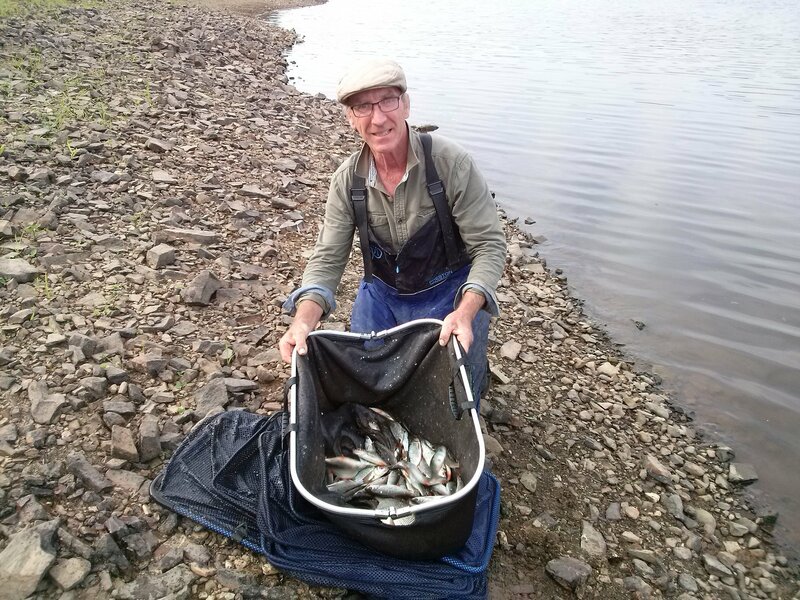 Martin came out tops with a net of sizeable skimmer ,roach and hybrids from peg 4 on the roadside. 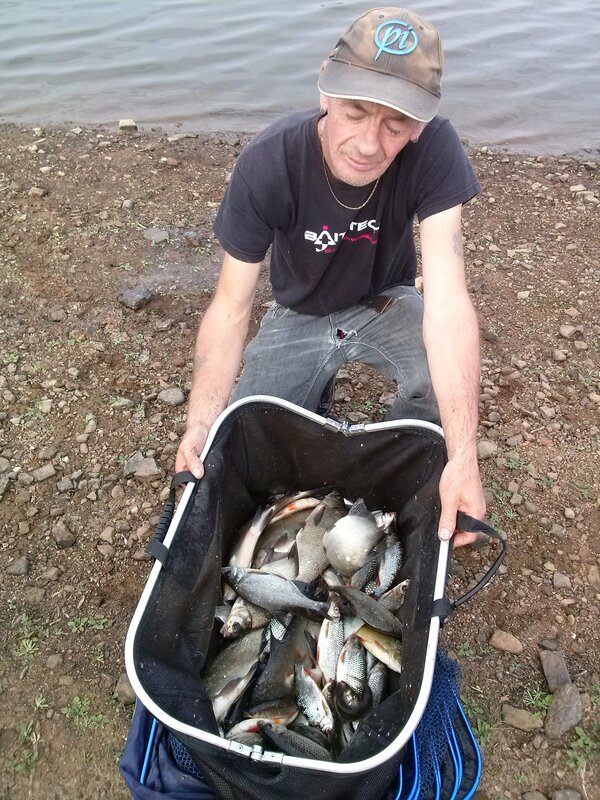 He took most of his fish on caster on the long pole over hemp and groundbait in 15ft of water. 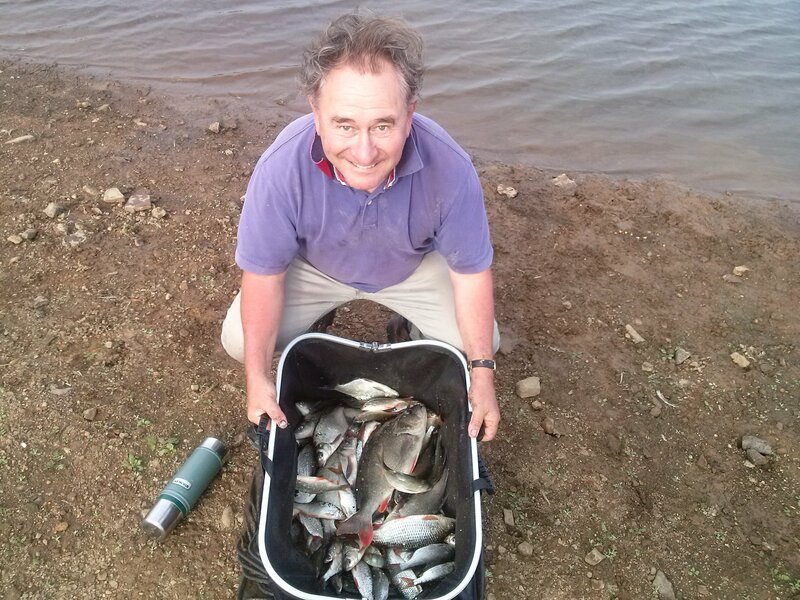 John took 2nd spot with a feeder caught net from peg 12 on the grass bank at the end of the dam. 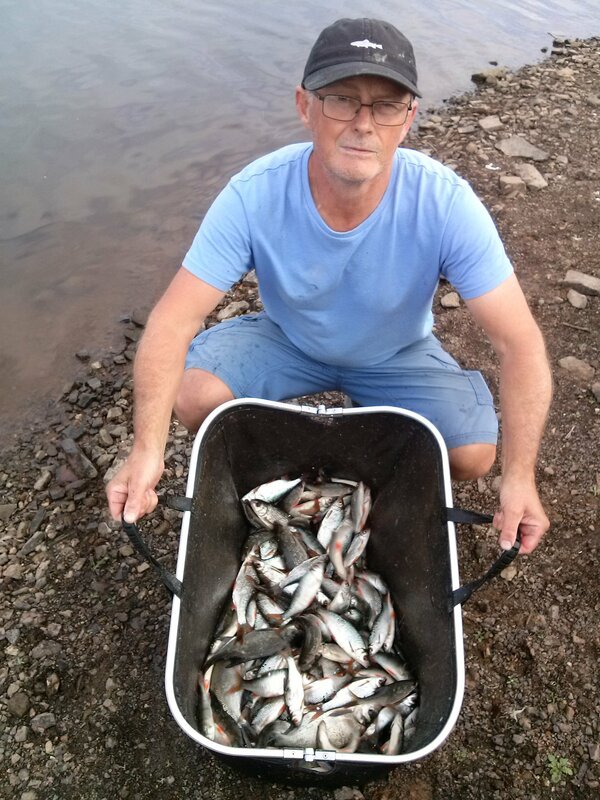 Johns, mainly skimmer net, fell to pellets and corn. 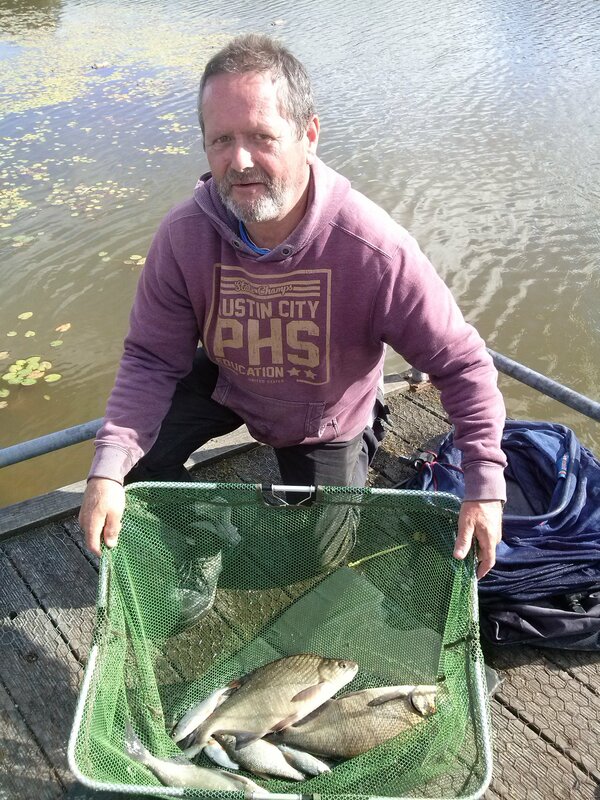 Paul had a slow start on peg 3 but eventually caught 20 skimmers plus some big eels on the cage feeder on maggot for third just pipping Neilsen who’s 4th place on the windswept dam peg 10 of also included a large eel and some lovely rudd.